Mueller looks at the subtleties of colour shifts. Her technique of modulating colours is comparable to the Pointillists, who used small marks, mixing new colours within the eye at a distance. Whether using 2D or 3D material she follows the same principal of repetition of a defined macro mark, progressively altering a pattern of colours to create ‘systematic gradients,’ which the eye blend smoothly when viewed at a distance. 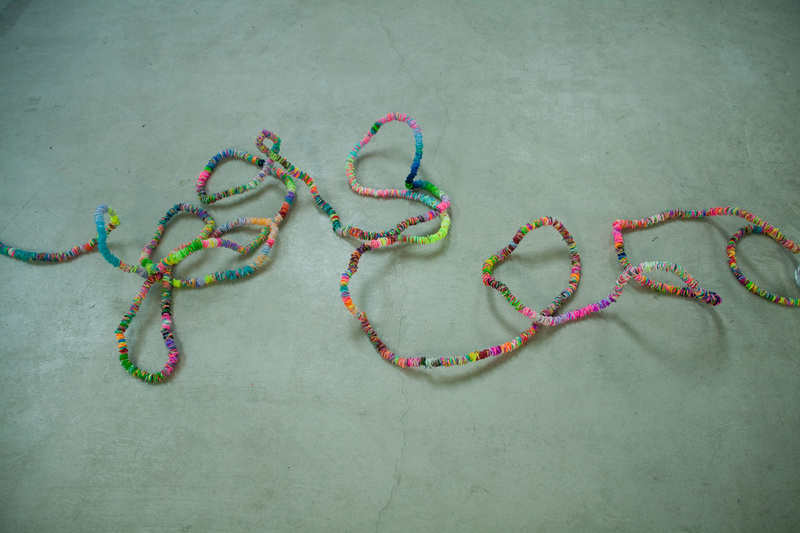 Her playful installation, LOOM-inious in its fluorescent luminosity, emerges as the physical painted mark, using Rainbow Loom Bands for each stroke of the linear composition. 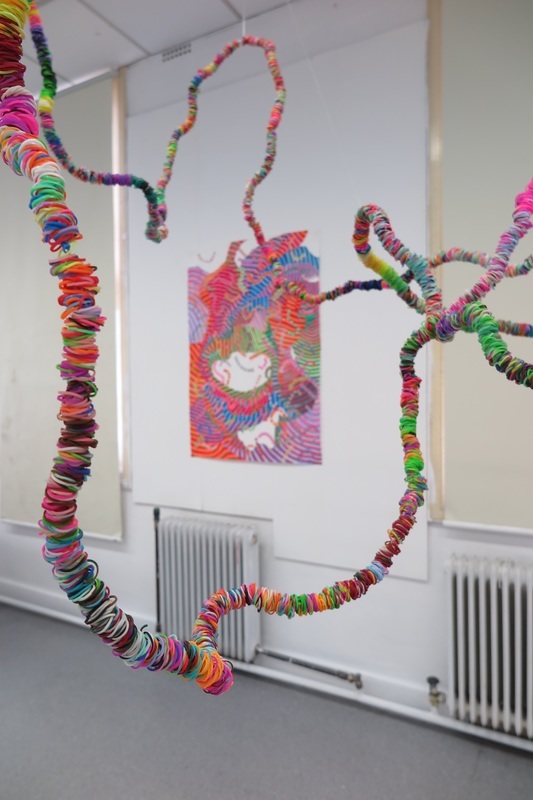 It references contemporary pop culture such as the Rainbow Loom Band craze and nostalgia for craft crazes, such as Scooby strings and pony beads, during her own childhood in the 1990s. 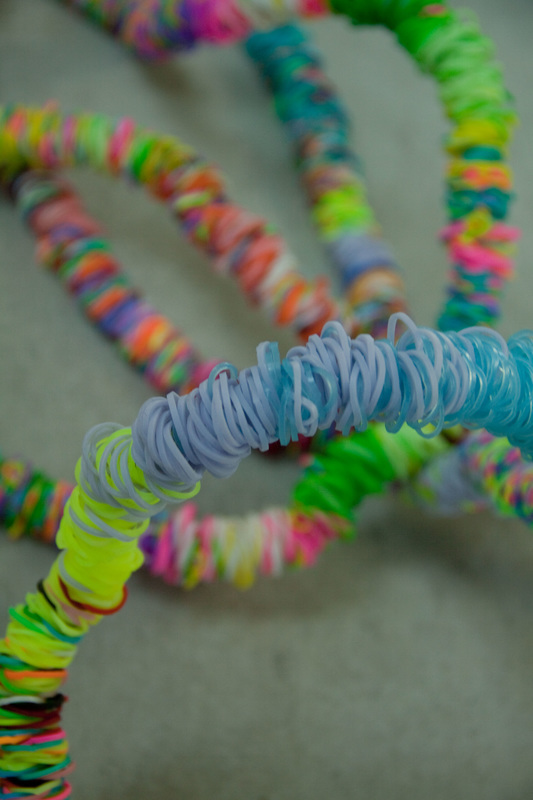 In LOOM-inious, her love for collecting colourful dollar store objects is contrasted by the realization of the wastage and environmental damage it causes. 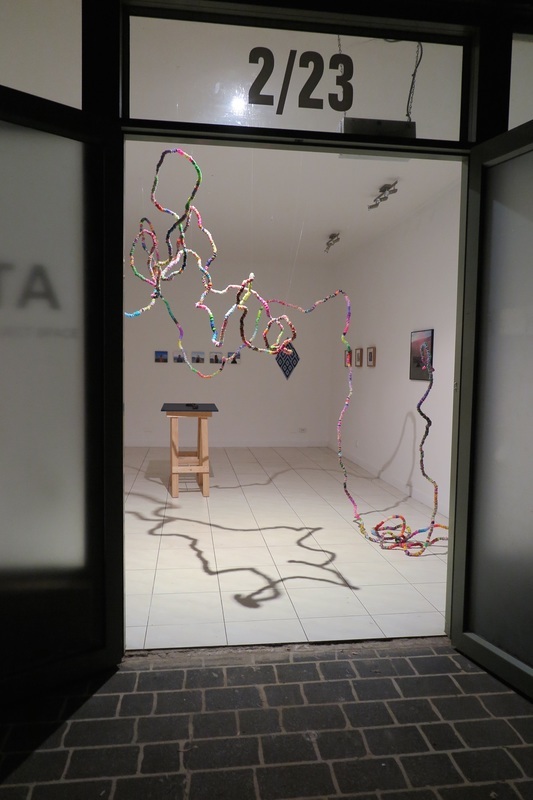 The tangled form of the installation references natural forms but is rendered with synthetic materials. LOOM-inious was selected as the winning work in the ANU School of Art Drawing Prize 2014. Loom-Inions is now held in the Prime West Perth Collection. 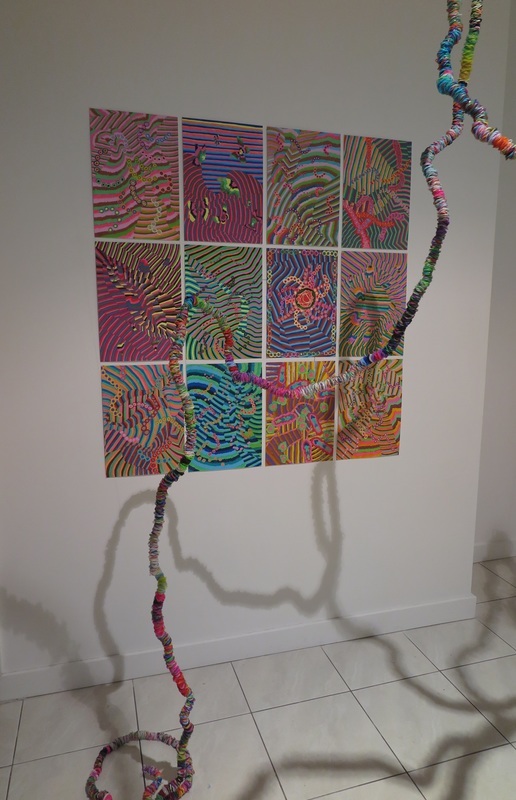 LOOM-inious, Rainbow Loom Bands on wire, 30m, 2014. Photo: Roseanna Parkes.